Looking for some fun free activities to do with your children this summer? I love cardmaking and scrapbooking! Sending handmade personal cards is a fabulous way to encourage brothers and sisters in the Lord. Do you not love to receive some "real mail" mixed in with your bills and junk mail? I know that it makes my day to find a such a treasure in my mailbox. Scrapbooking as well is something that I try to make some time for each week. Documenting God's faithfulness in our family in addition to our children's growing maturity is a way of "telling His faithfulness to the next generation," in my book. Psa 78:4 We will not conceal them from their children, But tell to the generation to come the praises of the LORD, And His strength and His wondrous works that He has done. Psa 145:4 One generation shall praise Your works to another, And shall declare Your mighty acts. 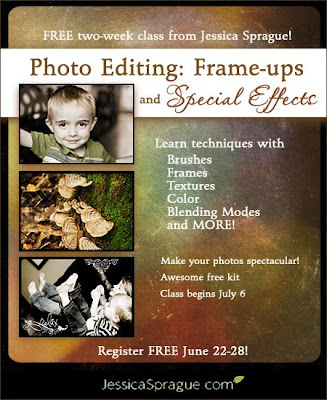 How about some free classes to teach you some new techniques? These would be great for "personal enrichment" (learning new skills to bless your family or others the Lord brings you in contact with), or to work on with your children. I am planning to work my way through these with my girls~ what a fun thing to do together during the summer when we have more time in our schedule. First up: Jennifer McGuire is teaching a free course on the 2Peas website called "Thinking Inking." She plans to cover all sorts (more than 75!) stamping and inking techniques! It begins today, June 15 and will last 9 weeks with three lessons/week (posted Monday, Wednesday and Friday) including both a video and pdf file for each lesson. What a wealth of great info, for free! Go here to access the class info. So there you have it~ lots of fun things to learn so you can bless your friends and family~ and free too! It doesn't get much better than that!